Drug rehab facility part of scientology? Yes. Bashir: "Newt Gingrich is the modern incarnation of the late L Ron Hubbard, the founder of Scientology"
Martin Bashir, MSNBC "Clear the Air"
" It's time now to clear the air and ever since he shot to the top of the republican race for the white house, i've been trying to figure out which historical figure newt gingrich most resembles. from the first century one might be tempted to call him a modern day st. augustin. mr. gingrich would probably like the comparison, especially since augustin's best known work is his book of confessions. in terms of literature it's possible to see newt gingrich as shakespeare's king lehr, a man of immense wealth who descends into madness after succumbing to flattery and brings only tragedy to all that he touches. as one character says of lehr and might now be said of gingrich, the prince of darkness is a gentleman. but when you study newt gingrich's writings it quickly becomes apparent that he's a perfect combination of religiousocity and insanity. just recently he tried to stir up fears that islamic sharia law was about to be imposed on every corner of the world. sharia law, he says, is a mortal threat to the survival of freedom in the united states and the world as we know it. but at the same time as offering a pessimistic and foreboding view of our future on earth, he seems completely optimistic about what may be happening elsewhere in the universe. in his book to renew america, published in 1995, gingrich says honeymoons in space will be the vogue by 2020. you know, the more i think about newt gingrich, the less i believe he's like st. augustin or king leer. in fact, there's one only person that comes close to newt gingrich, a science fiction writer so grandiose that he created his own religion. newt gingrich, the peddler of myths and fantasies, is the modern incarnation of the late el ron hubbard, the founder of scientology. thanks"
The Church of Scientology is facing the prospect of back-pay claims that on some estimates could run into millions of dollars. In March last year the ABC's Four Corners broadcast a program containing allegations of mistreatment and exploitation of some of the church's most loyal members. The next day, the Fair Work ombudsman started an investigation into the church. ABC's Lateline has obtained a draft copy of that investigation's report, which contains allegations of false imprisonment and forced labour. "The allegations ... may potentially be a breach of the provisions of the Criminal Code Act 1995 (cth) dealing with slavery," the draft report says. "The Fair Work ombudsman will refer the witnesses' allegations to the relevant authority for further investigation." The report also shows that some workers in the church's elite Sea Org unit were getting paid as little as $10 a week. The Church of Scientology argued that Sea Org members were not covered by the Fair Work Act because they were in holy orders. But this was rejected in the draft report which said: "This is not a persuasive view and is not consistent with the law." The church argues all their religious work is done by volunteers, however, the draft report said: "It is likely the Church of Scientology has incorrectly classified as volunteers or voluntary workers people who are entitled to be classified as employees." That means many current and former workers could be owed large amounts of back pay. In the draft report, the ombudsman insists the Church of Scientology appoint an independent consultant who will review its records so they comply with employment laws and awards. Mike Rinder, a former chief spokesman for the Church of Scientology in the US, says the report's findings could spur foreign governments to conduct their own investigations. "I think a bunch of governments particularly in Europe and in the Commonwealth will follow in the footsteps of the Australian Fair Work ombudsman and begin their own investigations and reviews," he told Lateline. This is so good. Scientology in a nutshell. Thanks, Janet! This media storm started with a Village Voice interview with the son of a famous opera singer and his leaving Scientology editor in chief, by Tony Ortega . That interview was with Placido Domingo, Jr.
Now this story has gone wild viral. The Los Angeles Times, the Daily Mail UK, FOX News, and the Telegraph UK, among many others have discussed the Church of Scientology policy of disconnection which, by the way, the church keeps trying to say does not exist when it does! But Davis was lying. Lying for the church about it's own policy to separate people from loved ones if they choose to leave the cult. You can hear him here in this Feb 2009 video of an openly recorded meeting between he and actor Larry Anderson, who is asking to get a refund of monies paid the church. This story was leaked by the St. St. Petersburg Times and they provide full audio in clips with transcripts of the interview with Anderson Tommy Davis stating that if Anderson goes through with this request for refund, he will not be able to associate with any Scientologist. You can listen to the whole thing here, with the initial few minutes demonstrating the lie. Yesterday Australian Senator Nick Xenophon spoke with the very popular Kerri-Anne Show in Australia about this disconnection policy in regards to the reports about Domingo Jr. He speaks about knowledge of former scientologists who have been disconnected from their friends and loved ones and what Australia is doing to try and prevent groups like this from benefitting from government tax exempt status with such abuses like this that is happening to Domingo Jr and others who just want the freedom to leave Scientology without being shunned or harassed. Tommy Davis is a liar. He’s smooth. Polished. Convincing. But a liar nonetheless. With more and more celebrities speaking up and not towing the party line in staying out of fear, maybe more members will wake up take a stand, as well. Video: Xenu the Alien - Confirmed by Scientology!! The cult had previously been denying the existence of Xenu (or XEMU) as demonstrated in this 2008 video after the South Park episode, where "Tommy Davis, a spokesperson for the Church of Scientology, categorically denied any knowledge of Xenu and the Alien genocide that is a pillar of their faith. In this video, (LRH) L Ron Hubbard, the founder of Scientology, describes the story in detail and proves Tommy Davis is a liar and South Park (SP) was right!" I just saved you a alot of money, as it costs** a scientologist up to $250,000 to get to where he learns about Xenu. **How Much Does Scientology Cost? I like when Courthouse News picks up a story of importance related to the crimes of scientology. LOS ANGELES (CN) - A 19-year-old man claims his Scientologist parents "ceded custody" of him at the age of 5 to the controversial church, which then entered into a "billion year contract" with him as a minor, forced him to work hundreds of hours a week at a Scientology school for as little $35, denied him an education, and forced him back to work just two days after he lost a finger in a work accident. The first of Daniel Montalvo's two complaints in Superior Court names as defendants: the Church of Scientology International, the Scientology leadership group Sea Organization to which his parents allegedly belong, the Church of Scientology Western United States dba Canyon Oaks Ranch School, Montalvo's parents and three other people. MONTREAL - Two employees of the show I volunteered to infiltrate the Church of Scientology of Montreal. One of them described his experience: religious cults always intrigued me. When the team I decided to do a report on the Church of Scientology to infiltrate the idea with a hidden camera I immediately liked. In fact, this mission was tailor made for me. That's how we entered, my colleague and me in the universe Scientologist. What struck us most when visiting the establishment of Papineau in Montreal for the first time, human warmth. It was immediately welcomed with open arms and good humor is contagious Scientologists. But the mood is anything but free. Within minutes you can be caught in what looks like a vast infomercial. Introductory video, personality test, courses for personal growth, books, all in a single goal: making money. Because from my perspective, that's the philosophy of the Church of Scientology get your money by promising a better life. We chose a course for beginners, "Success Through Communication." This course allows us to introduce ourselves in the academy's classroom at the church and shoot other students without their knowledge. We decided then to go further and we subscribe to the Dianetics Seminar, a weekend intensive learning of the hearing. A technique in which we relive the difficult moments of our lives and feel painful emotions. We then attended a fundraiser for the church, which was to finance the renovation of their new center, the old building of "Homeland" in downtown Montreal. 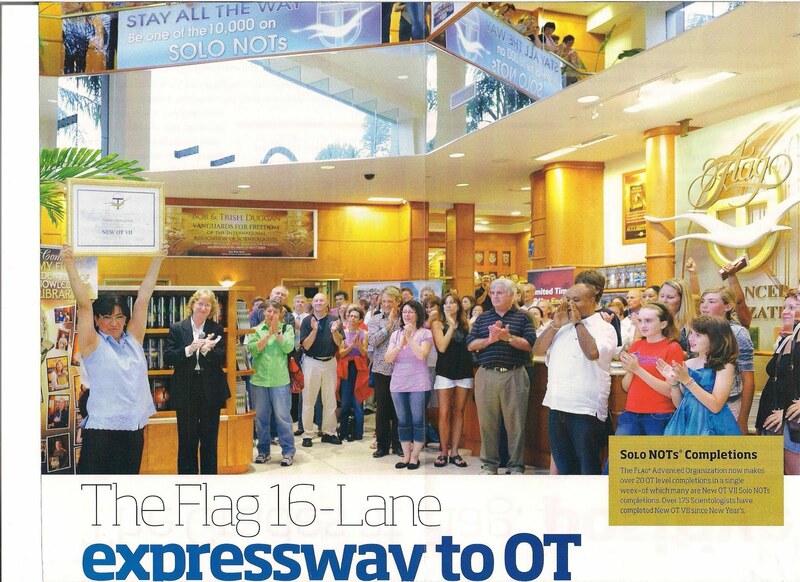 An "event" language of Scientology, where patriotic speeches and salutes founder alongside calls for donations. The atmosphere is overheated and the MC manages to squeeze $ 17 000 of the fifty members present, some with their children. We are asked to give $ 1,000, no less! As new members, we are the center of attention. Shoot pictures without us getting caught is perilous. During the evening, we strongly encourage two people to the next level, the course of purification. This is a crucial step for a Scientologist, which in addition to the cleanse, relieve the $ 1500. MONTREAL - The administration system developed by L. Ron Hubbard called WISE, World Institute of Scientology Enterprises. And the leading expert on Scientology in Canada, Dr. Stephen A. Kent, University of Alberta, Scientology and WISE are one. WISE is also his opinion that part of the nebula Scientologist. WISE (business) Narconon (the fight against drug abuse), Criminon (fight against crime), the Citizens Commission for Human Rights (antipsychiatry) Applied Scholastics (education), all these organizations defend and promoting ideas of the movement, while claiming to be independent of the Church. "These programs, said Professor Kent and WISE is a good example, represent a way for Scientology to enter his so-called technology in the business community. The goal is to raise the ways and ideas of Scientology. Moral issues and how to handle criticism will follow. "Should we review the status of Scientology in Canada? The Church of Scientology enjoys tax exemption status with the municipal corporation that grants him the religious Quebec. Canada recognizes him as a non-profit organization. 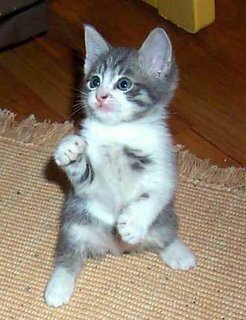 Moreover, Narconon, which treats addicts with the methods of Hubbard, has the status of charitable organization. Donations thus become partially tax deductible. The Church of Scientology has refused interview requests from JE. In an email, a spokesman said his movement meets the criteria and that "the decision by the Quebec government in 1993 to recognize Scientology as a religion is not a matter of controversy." At least one politician does not agree. Senator Celine Hervieux-Payette wonders how a movement already convicted of organized fraud in France and for breach of confidence in Ontario in 1992 was a year later, get the status of religious corporation in Quebec. "In Ontario, they did a thorough investigation to discover that they had infiltrated various departments and the RCMP. "The senator said he was" appalled "to see an organization like the Church of Scientology has such a treatment. Gotta love this writer, lol! A Big Win for Australia and Critics of all Cults. Scientology and the Australian Senate Inquiry Report. Kudos to Senator Xenophon, members of the Australia Senate Economics Legislation Committee, Today/Tonight Show and reporter Brian Seymour along with all those brave souls who spoke up about the dangers of Scientology and similar cults. I received this promotional piece in the mail and was struck by the obvious alterations in the photo ( see far right)and the fact that the woman holding up her award certificate- OT VIII ( a top level that is supposed to bring about 'cause over life')is wearing eye glasses. ODIT News On 21 May 2010, CCHR/NZ (Scientology's front group: Citizens Commission on Human Rights, New Zealand) was denied charitable status by the Charities Commission in New Zealand. 54. The Applicant's barrister has also submitted that the Commission is "discriminating against CCHR and/or its founders, or organisers on the basis of their imputed opinions and on the basis of their religious views of ethical views". He notes that the Applicant has been linked to the Church of Scientology in the press and the Commission's decision to withhold charitable status from the Applicant has coincided with targeting of the Church in the media,..
read on for more and DIGG It! So glad to see this series come out. (June 14) -- The Church of Scientology is denying allegations levied by dozens of former members of its highest order, the Sea Org, who say the church forced them to have abortions because having children would interfere with their religious mission. An in-depth report by the St. Petersburg Times cites several women who have filed federal lawsuits against the church, claiming they were ordered to abort their children as teenagers and young women or be shunned by the church, facing hard labor or alienation from their husbands. "The policy was if a staff member became pregnant, that they were to have an abortion," former Sea Org member Claire Headley, 35, told the newspaper. Sheila Huber, former longtime scientology staff member was a church Nanny for 3 years and is interviewed about the conditions, the oppression and why she is speaking out. Kudos to Amy Scobee for speaking up about how Scientology treated the matter when she was raped at age 14 by an adult staff member of the church's Sea Org. Carmen is a brave girl and I hope all goes well for her. Thank you for speaking up, Carmen & mom. Scarlette Hanna, the daughter of the president of the Church of Scientology in Australia, has "spoken out against the organisation, describing it as toxic and accusing the church of tearing some families apart." Scarlette Hanna is the daughter of Vicki Dunstan, the president of the church in Australia. Her father, Mark Hanna, is a former director of public affairs. As well, Sheila Huber, former long time member, explains what it was like to have been the church's Nanny for the many many children of staff members and how bad the conditions were. What you will hear are true stories of abuse and neglect of children. Both these women deserve kudos for stepping up to the plate and speaking up despite the potential for repercussions. Much thanks to ABC and Steve Cannane. You can see Vicki Dunstan here finally admitting that Scientology was connected to several Sydney murdered parishoners. Things are falling apart for her Scienbtologist parents, and that might not be a bad thing if they wake up soon enough. Hopefully Scarlett's brave andd well stated report on TV will wake them up. This is a brilliant video worthy of repeat viewing. Inspiring, truely. Thank you to whoever created it. This is one of the best videos ever made in exposing scientology! Big List Of Ex Scientologists Who Have Spoken Out "was commenced on 26 June 2009. In the last day, 11 April 2010, the list has exceeded 1000 names." Here are 6 more names of ex scientologists who hailed from NY. These people sued the church of Scientology. That's the ultimate speaking out in my book. I will continue to add to this as I locate court cases across the country so that their names can be added. Case Name: METELLUS, MARIO vs. CHURCH OF SCIENTOLOGY OF N.Y.
"The Big List includes only former members who have spoken out against the Church of Scientology's crimes and abuses in their own names, not using a pseudonym. The list includes people who still consider themselves Scientologists and people who do not. Many of the people named spoke out first years, even decades, ago. Many others spoke out for the first time in the last few weeks and months. Every person on the list has given a great gift to others. Together, their voices cannot ever be silenced. To those who are still in: realize that all of these people have left, and you can too. There are thousands more who left, and have not come forward to tell their story yet. And there are also hundreds more who have spoken out, but who did not want their names known. We hope that the courage of those named here empowers more people to come forward with their stories of abuse, and ultimately prevents such abuses from ever taking place again. " Join in. Speak up. Expose Scientology. XENUTV — April 06, 2010 — FAIR USE CLIP. This brief excerpt from a much longer Scientology promotional video features critic Tory Christman when she was still in Scientology on OTVII. She was promoting the release of The New OT 5 Rundowns in 1990. "This famous article critical of Scientology has been the target of an organized bookburning campaign by Scientologists as detailed in the Scarff deposition. The piece was awarded the Gerald Loeb Award for distinguished business and financial journalism, the Worth Bingham Prize and the Conscience in Media Awards from the American Society of Journalists and Authors. immortality on it that Scientology never does on either the perpetrators or victims of its crimes. Please use under the fair use provision of the U.S. Copyright code. In a sleepy beach town in the Bible Belt, a 22-year-old journalist found himself in the middle of what was then considered by some a cult - and is now known as the Church of Scientology. That young journalist was adjunct professor Richard Leiby, one of the first to unearth religious leaders' clandestine activities during his time at The Clearwater Sun in Florida. During his stay at the now defunct Tampa Bay-area newspaper, Leiby was sent to the nation's capital to uncover details of a wide-ranging federal probe. Church leaders were accused of trying to destroy government records that portrayed Scientology's founder, L. Ron Hubbard, in an unfavorable light. The investigation, which resulted in the conviction of 11 high-ranking church officials - including Hubbard's wife, Mary Sue - was jumpstarted when Gerald Wolfe, one of the conspirators, was arrested in June 1977 for using a forged government identification card. After subsequent raids by the Federal Bureau of Investigation revealed the church had illegally procured documents ranging from files on federal judges to agency personnel data, the story of the infiltration of the federal government began to come to light. Soon after, Leiby was sent to D.C. to cover the ensuing trial - United States v. Hubbard - which began in August 1978 after a year's worth of legal wrangling had delayed its start in federal court. For Leiby, the assignment presented a chance to hone his skills as a young journalist fresh on the scene. "This little paper sent me to Washington to cover a major criminal conspiracy case, which was certainly a defining moment in my career," Leiby said. Among the things he discovered over the course of his reporting were plans by leading Scientologists to take control of the Clearwater city government. Now a major center for the church, Clearwater contains Scientology's spiritual headquarters, known as Flag Land Base. But back in the 1970s, Scientology was still a nascent force in the central Florida city, much to the chagrin of then-mayor Gabriel Cazares, who quickly became an enemy of the church's leaders. What Leiby uncovered about the Clearwater conspiracy, he said, was explosive. "I was able to get out of the courthouse more than 40,000 documents of internal church material which laid out a very deliberate scheme to take over the city of Clearwater," Leiby said, referring to what became known as Operation Goldmine. "When I say 'take over,' I mean frame the mayor in a hit-and-run accident so that [he] would be neutralized, because he was an anti-Scientologist." More than 30 years later, Leiby has moved on from uncovering the intricacies of criminal conspiracies to more pleasurable pursuits. In addition to being an adjunct faculty member at GW, he is a style and arts editor at the Washington Post, where he also once served as the Reliable Source columnist, bringing readers the latest D.C. gossip. But he says he remains thankful for the skills he gained as a young reporter navigating the contours of a major federal investigation. "I was about 22 years old and it was my first reporting job and it was an intensely complicated case," said Leiby, who had just graduated from Temple University when he was sent to Washington. "You don't learn these kind of cases in journalism schools." And he has not left his background behind. The work he has done in the past is what makes Leiby's Introduction to News Writing and Reporting class a highly enjoyable event for his students to look forward to twice a week. "I can use my own experiences to give real-life examples," he said. He has brought in a number of guest speakers to address the class, including National Enquirer Executive Editor Barry Levine, who talked about the future of journalism. "I think [students] need to know what they are getting into. They need to hear from people who have made this transition into new media," Leiby said. In Leiby's course, the classroom is a newsroom, and the deadlines are real. "I gave students an exercise in which I was President Obama giving them a news briefing and then had them write their ledes in eight minutes," Leiby said. "This is how we do it - what you're going to learn is rapid turnaround." The fast-paced assignments have made for a class that mirrors the experience students would have as professional journalists. And they don't seem to mind. Junior Jehan Morsi said she likes the class' high speed, adding that Leiby's background makes it more interesting. "The professor teaches class as an editor would hold a final editing edition of the paper; we're his staff, he's the head editor," she said. (Trois-Rivières) Like all drug rehabilitation facilities in the province of Quebec which provide room and board, Narconon Trois-Rivières will have to show its credentials in order to obtain certification from the Quebec Department of Health and Social Services [ministère de la Santé et des Services sociaux], a requirement which will be compulsory beginning on July 1, 2011. Just days after the publication of statements made by David Edgar Love, a former patient who became an employee and is now speaking out against certain methods used by the centre, the Mauricie Health and Social Services Agency [Agence de santé et de services sociaux de la Mauricie] said it will be keeping an eye on Narconon. In the framework of Law 56, which provides for extending the compulsory certification of residences for the elderly to all organizations involved in drug rehabilitation, there are to be rigorous inspections to regulate and guarantee the safety and the quality of services," said Marc Lacour, director of social services. As a result, the 14 organizations in our region will have to file an application and comply with all the requirements of the Department of Health and Social Services before July 2011. These requirements concern, in particular, the methods of intervention, the physical facilities, safety, employee training, and they might even include prohibiting affiliations to a religion or to a spiritual orientation. It is known that Narconon has ties with with the Church of Scientology. Its methods of intervention are based on the teachings of L. Ron Hubbard, the founder of the Church of Scientology. Since 2001, the centre has indeed been mired in controversy more than once. The latest example is the publication of statements made by David Edgar Love, who filed complaints with the Quebec Human Rights Commission [Commission des droits de la personne] and the Quebec Labour Standards Commission [Commission des normes du travail] for harassment and threats and who took the opportunity to lift the veil on certain treatment methods. About ten former employees of the Narconon Trois-Rivières centre have filed complaints with the Quebec Labour Standards Commission alleging that they were not paid for hours worked. But according to one of these former employees, Richard Lussier, there are at least 25 people in the same situation. "It's such a hassle, but Narconon takes advantage of defenseless people to line their pockets. I had to complain to the Labour Standards Commission to get progress on my case. I'm not looking for trouble, I just want my money. But I know that many other employees haven't complained. In all, there are more than 25 of us who haven't been paid in recent months," said Lussier. Lussier, who had been hired as a cook, was fired last month. "Narconon owes me between $1,200 and $1,300. "That's a lot when you have to pay your rent. I spoke out loud to get what I'm owed, because this wasn't the first time it happened, but they preferred to fire me," he said. Mr. Lussier admits having received some pay, for example $100 every two or three weeks. "The centre gives us a little something to make us keep our traps shut, they make wonderful promises, but they never give us our full pay," he said. Marc Bernard, director of Narconon, acknowledges that former employees have not been paid. "I think about ten complaints have been brought against us. The recession hurt us. So we accumulated a bit of a backlog in payroll. I can assure you that these people will be paid and that it will be done as quickly as possible. We don't take this lightly," he said. He believes, however, that these former employees panicked. "It's the system that wants this, that led them to the Labour Standards Commission. "Yet we are constantly working to have enough money to settle our debts," said Mr. Bernard. Narconon provides therapies which last an average of three to four months. According to Mr. Bernard, the centre receives about 35 to 40 customers every three months. But a former employee contends that the centre receives no more than twenty people a year. Most of the clientele is from Ontario, British Columbia, and Alberta. Moreover, the costs of this therapy are particularly high, more than $5,000 a month, for a total of $20,000. "How much does the funeral of an addict cost in your opinion? More than $12,000. In addition, we have an excellent success rate here: it's between 70 and 76 per cent, while the average for other centres is 10 per cent," said Mr. Bernard. At present, an investigation is still being conducted by the Labour Standards Commission, which refuses to reveal more about the number and the content of the current complaints. However, spokesperson Jean-François Pelchat did not hide the fact that Narconon has a "long trail" of complaints since 2005. "Quite a few complaints were brought by employees, but, in most cases, the files are closed, either because the centre paid the claims or because an agreement was reached, or the complaint was not accepted, or the employee withdrew," said Mr. Pelchat. So glad the Catholic Online is reporting on this travesty. These are very powerful victim testimonies. The disregard for life itself is at the heart of what Scientology is doing to it's staff members. The injustice toward children is horrendous. On the internet, there are many other testmonies by adults who were raised in scientology, many of whom worked for the church like those who spoke up at the conference. The Catholic Online reaches thousands of readers per day. With their thoughts and prayers in unison with others of all faiths who speak up about these injustices, may these people be protected from harassment by this cult. There is power in numbers. May more speak up and may the conditions described cease with the help of the Lord and the voice of the caring. Scientology - it's worse than you think. Ex-Scientologists tell their stories at the Anonymous Megaraid in Hollywood, Feb 12, 2010. ScilonTV provided the video direct from updtreaming it. I came across something the other day that reminded me of how Scientology makes it's members follow the way of McCarthism when it comes to keeping each other in check. Thank God for people who speak out. That is what this post is about today. Marc Headley, former Scientologist and author of the riviting Blown for Good – Behind the Iron Curtain of Scientology posted an important, interesting and insightful bit of information over at the Why We Protest forum. 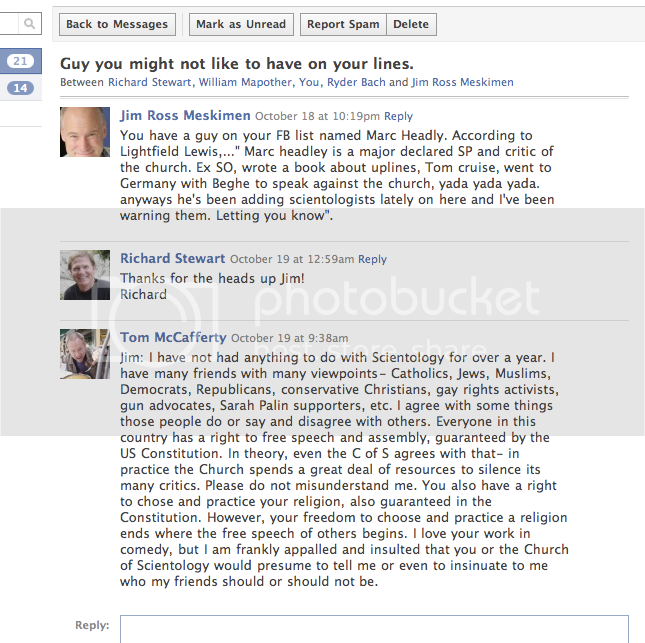 What Headley aka blownforgood posted was a snapshot of Super Scientologist & character actor Jim Meskimen's Facebook showing him warning a few select Scientologists that they "have a guy named Marc Headley" on their facebook. I was reminded that this is how Scientology really does things to stop free speech and perpetuate Scientology's Disconnection Policy. The cult usually assigns Scientology celebrities a handler or minder if they are big stars so they don't fly the coop. In Katie Holmes case, it is Jessica Feshbach Rodrigues. For the lesser known celebs' the cult can usually rely upon the most indoctrinated of members, like Jim Meskimen, to "Keep Scientology Working" by forwarning the flock to beware of the people whom the church may consider it's enemy. It's all part of Scientology's Fair Game practice. In this case, Meskimen messed up. He picked the wrong guy to pull this baloney on because the reply is a kind but strong reminder to Meskimen that he should stop acting like an unamerican idiot and stop poking at others friendships like big brother. Let's hope he gets the point. Now, rumor has it that the replyer , actor Tom McCafferty,worked in the past for Scientology celebrities like Tom Cruise.His military and acting history suggests he would have made a good one. I mean, look at this guy! What I do know is that he's a former scientologist now, a talented actor and by his reply, well, he seems like he 'ain't afraid of nothin'. You can't beat that combination. '60 Minutes' on Scientology, New Zealand TV3 Best part is Martin Ruston aka Rockyslammer, talking about Scientology. "Don Jason was a Scientology officer who wanted out. Instead, he says he was held against his will, locked on a ship in the Caribbean." [..] It always bothered him, and Jason resolved that he never would submit to the program. When the order came that he do the RPF aboard the Freewinds, he said he wanted off the ship. No, the guards said. Do the program. "So you're holding me against my will?" Jason tried to walk off the ship with parishioners going on a shore excursion. The Freewinds guards stepped in his way. He tried a second time, but they blocked him again. For three days he protested by refusing to work, but that only got him more restrictions. He needed a new approach. Jason decided to act like a good soldier, the picture of compliance. Behaving got him better work assignments and more freedom to move about the ship. He ruled out jumping overboard. The 40-foot drop was too dangerous, and the dock walls too high, with no ladders. The thick, 30-foot cables that moor the ship to the dock seemed his best chance. He thought through the variables. He would have to move quickly down the cable; the guards would hurry to the dock to head him off. Timing was important. Too many people on the dock and he would create a scene. Then again, he wanted at least a few witnesses. When the ship docked each day, he watched the cables go taut and slack with the tide. A drooping cable would leave him short of the dock. He would have to time his descent so when he reached bottom, the cable would be taut. He would have to get around the metal plate that kept rats from climbing to the ship. He scavenged for materials to build a device that would help him quickly get down the cable. He fashioned something like a rolling pin. Starting with a wooden dowel the thickness of a clothing rod, he sawed off a 16-inch piece. Around it he fit a 7-inch length of PVC pipe. To keep the PVC from moving side to side, he sunk drywall screws into the dowel on either end of the PVC. For two weeks he observed and thought things through. He would have to hold his body high in case he needed to bring up his legs and slow his descent. He ate lunch on the bow every day so that when the time came, the guards wouldn't think twice about him being there. Three months before, Jason had a title, an office and authority over hundreds of staff in Clearwater. Now his church was treating him like a prisoner. "I'm thinking, You know what? Once I pull a stunt like this, I'll never get off this ship on my own terms. So I'm committed. Once I start this, I have to be prepared to take it all the way. 1 August 1996: Working at Scientology's Flag Service Organization in Clearwater, Don Jason is told that the church is going to discipline him for something he felt was unfair. He leaves the next day without permission and drives on I-4 to Daytona Beach. He takes back roads north to Fernandina Beach and spends the night at a motel. 2 The next day: He continues north through Savannah. He assumes the church will look for him in his native Milwaukee, so he randomly chooses to settle in Atlanta. 3 After six weeks: He gets second thoughts about how he left. He returns to Clearwater to follow the church's approved "routing out'' process. 4 October 1996: Jason flies to the Bahamas to board Scientology's cruise ship, the Freewinds, where he becomes a virtual prisoner. 5 Six weeks later: Jason escapes over the bow of the Freewinds and makes it to the airport. He buys a ticket to Milwaukee, with a layover in Atlanta. A Scientology official buys the seat next to Jason on the leg to Atlanta. The layover: Marty Rathbun, a top Scientology executive, intercepts Jason at the Atlanta airport. Rathbun tries to persuade him to return to Clearwater and follow proper procedure to leave the church. Jason refuses, and Rathbun flies with him to Milwaukee. 6 In Milwaukee: Jason's mother and a sister pick him up at the airport. The next day, he comes to Rathbun's hotel and signs confessions to his "crimes." 7 Twelve years later: Jason works in Chicago as an operations manager for a building supply company. Read and watch the complete Tampabay.com TRUTH RUNDOWN series to get the full picture.